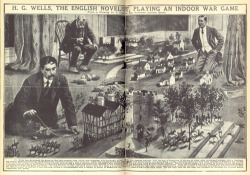 Our wargaming hobby dates back to as far back as the first hollow cast metal toy soldiers. It's even said that Napoleon played with and collected toy soldiers. I even recently happened upon a video of British actor Peter Cushing (of Hammer Horror films, and Grand Moff Tarkin of StarWars fame) painting and playing with his toy soldiers, from what looks like the 1960s in the video. At the end of the video lays a copy of the book Little Wars and a yardstick. I'll be honest, I never bothered to read it, until recently. I was really impressed and amazed by this one little book once I did read it. I'd have to say that it's a must read for any wargaming enthusiast. It's hard to believe that as far back as 1911 even, grown middle aged men would throw their children out of their rooms, to get away from their wives, and then get down on the floor and seriously play with tin toy soldiers together. The ingenuity of Wells, impressed me as I read on. They were using toy blocks, stacks of board, even encyclopedias to represent hills and cliffs, they hated carpeting since toy soldiers didn't stand well on it, and they even tried to make their countryside as realistic looking as possible by drawing windows and doors on their would be houses, churches and other structures made of wood and folded paper even. They had the same imagination and determination of today's' wargaming enthusiast, and faced the same challenges, like significant others thinking we're crazy, and some going as far as being upset that grown men are playing with toys on the living room floor, or dining room table. I think this may be where the need of the modern day Man Cave was first envisioned too! As Wells began to create his rules, it's clear that the same issues present in today's wargames existed then. He didn't want to allow a troop to shoot a cannon and move it at the same time, and he wanted those pieces that could utilize a cannon, to be in groups of 4-6 men. To even shoot 4 men had to be within six inches of it. They even timed the turns, so that it didn't take forever for each side to get their turn in. 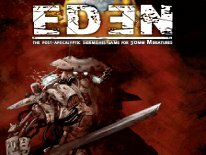 This is something I think many games should re-adopt today. Wells even faced the need of reiterating and refining of the rules, due to issues that arise and that need clarified, to avoid the modern day "game breaking" rule exploitation. I found it amusing that they would hang a curtain over the middle of the playing field to deploy, so they couldn't see what the other side was doing. We've done this before during Apocalypse Warhammer 40k battles to make deployment fair and more realistic too, to create that fog of war usually absent from wargames of today. They used the curtain as an "if available" option tho. A coin toss would otherwise help to determine setup. They used a third party timekeeper to keep track of the time players were allowed to take even, and the time taken was based on how many pieces each side had, and this would change as the game progressed and pieces were killed off. For 1911 this was a pretty complex little system. They used a two foot piece of string, and a six inch piece of string to judge proper movement of troops, artillery guns and cavalry, and to make sure that troops are within proper range of a gun, for that gun to not be abandoned. Troops moved 12-inches, cavalry the full two feet and guns were limited by what units be it cavalry, or troops we're moving it. Of course the difference is that they used projectile firing toy guns to knock over the tin soldiers with bits of wooden dowel and other objects fired from the toy guns, and not dice yet. If a soldier is knocked over it's dead. Quite simple enough. Close combat even involved the taking of prisoners. The book even offers some of the first ever wargame Battle Reports, in detail. Here's a link to a free public downloadable version of Little Wars in .pdf format. It's not a long book at all, about 32 pages is all, and it's worth a read if you want to see the game that pretty much started it all. 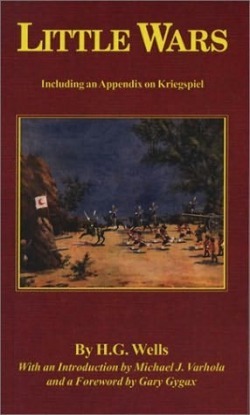 There's also a section at the end on Kriegspiel (German for Wargame, and is a variant of chess), and how to adapt it to be a used as a military training tool. Reading through the rules H. G. Wells created, one can clearly see the foundation of where almost every wargame rule set today in some way, shape or form originated from. An book chock full of ideas for creating tales and scenes using toy soldiers, miniature animals, blocks, and trains and train tracks. J. Varhola, and a foreword by Dungeons and Dragons co-creator, and RPG gaming legend Gary Gygax. If you're looking for a hardcopy, that's the one to look for.